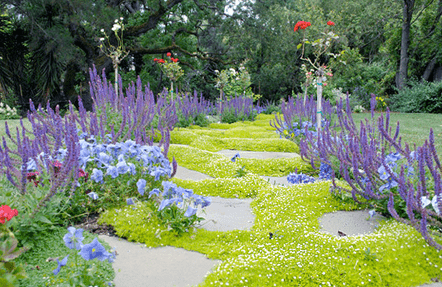 Many homeowners are looking for ways to reduce water use during this long California Drought. It seems the options are convert the yard to potted plant mounds and wood chips or allow the lawn to struggle along hoping that the coming winter will bring it back to life. But there are other more creative, more attractive options. Many are cost effective and when well planned cannot only save water during the drought, but can save water costs for years to come. By carefully selecting and combining water wise seeds, you can construct an attractive combination that provides interest and beauty without spending a fortune on plants. 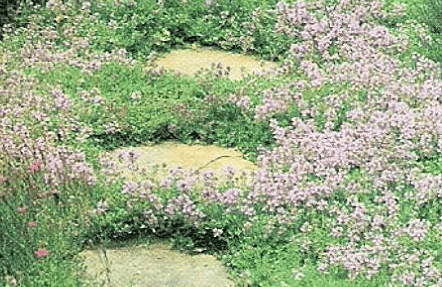 For example, combine various ground covers like Kurapia, Creeping Thyme, and Alyssum seeds with drought tolerant turf seeds like Kikuya or Buffalo grass to achieve a creative drought tolerant lawn that grows more beautiful over time. Once you have a vision, we can hydroseed your yard with the selected seeds. And hydroseeding is cost effective, just pennies on the dollar compared to sod or potted plants. Don’t have a vision? No problem! We can help! 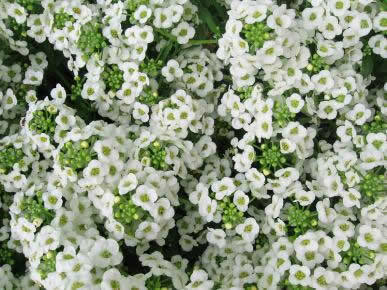 We hydroseed turf, wild flowers, shrubs, and ground cover. We offer a variety of drought tolerant options to help you achieve the visual interest and the lush green yard you desire. CHECK OUT THIS LANDSCAPERS BLOG!